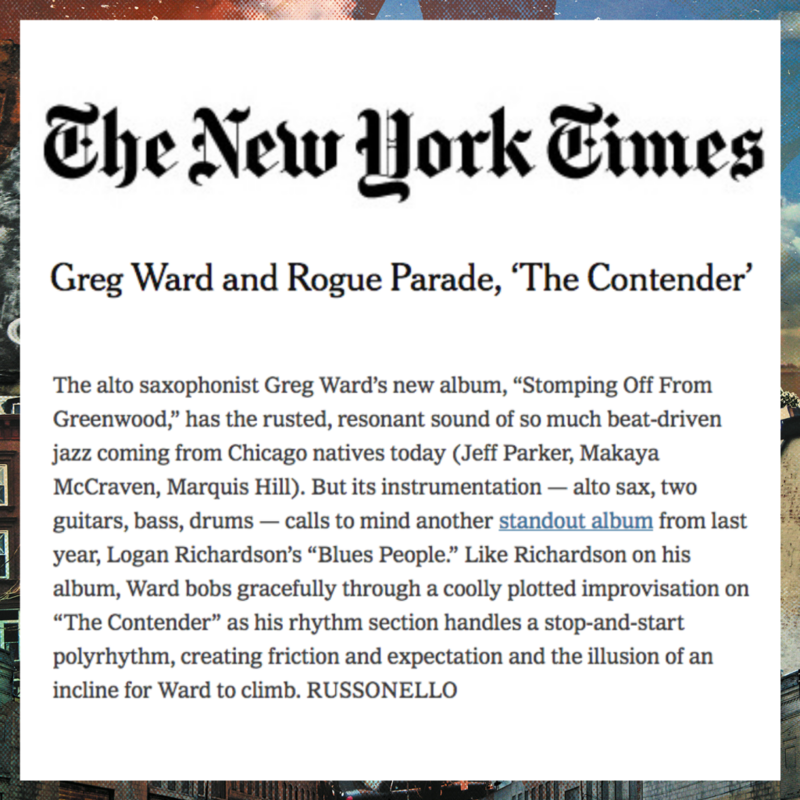 The New York Times featured ‘The Contender” from Greg Ward’s Stomping Off From Greenwood in their Friday Playlist! The alto saxophonist Greg Ward’s new album, Stomping Off From Greenwood, has the rusted, resonant sound of so much beat-driven jazz coming from Chicago natives today (Jeff Parker, Makaya McCraven, Marquis Hill). But its instrumentation — alto sax, two guitars, bass, drums — calls to mind another standout album from last year, Logan Richardson’s Blues People. Like Richardson on his album, Ward bobs gracefully through a coolly plotted improvisation on “The Contender” as his rhythm section handles a stop-and-start polyrhythm, creating friction and expectation and the illusion of an incline for Ward to climb.